At this point we then inspected the property and found approximately THIRTY defects. Some of these were cosmetic, some more important (i.e. the bathroom light could only be turned on if the hall light was already on).The site manager then mentioned to us that he had fitted the thermostat on the top floor (this is a three storey house) because the electrician could not trace the wiring where it should be. They had decided to fit the thermostat next to the airing cupboard and about four feet from a radiator – so making it impossible to regulate heat throughout the house (the outcome of these will be mentioned later). In the next month or so the builders had to come back a couple of times to repaint the ceiling in the utility room as the water stain kept reappearing. After approximately TWO months in the property a water stain appeared on the Dining Room ceiling. We called the customer care line who organised a plumber to come and inspect the property. After a short inspection he stated ”that he could not find a leak and he would advise that George Wimpey send somebody out to cut a hole in the floor above’.A worker from George Wimpey came and lifted the carpet in the bedroom above and cut a hole in the floor but could find no trace of a leak. We were then advised by George Wimpey customer relations that it was due to a leak that happened prior to us moving in and that it had just reappeared – a likely story (one of many).A painter was sent to the property and he repaired and painted the ceiling. A few weeks later another stain appeared on the Dining Room ceiling. This time somebody came and inspected the plumbing and still could find no fault. He stated ”It is probably residue from the previous leak” (which according to them we never had) and the paintwork was repaired again. On the 4th February 2004 we were sat in the living room when we heard a loud bang and the sound of running water. We ran upstairs to find the water pipe that feeds the toilet flush had come adrift and water was flowing out of the pipe onto the bathroom floor and landing floor at mains pressure. We turned the main water supply off (which is situated in the garage) but by this time the floor below was flooded. The water was running from the ceiling, down interior walls, electrical sockets, light fittings, window and door frames. The Bathroom, Landing, Dining Room, Kitchen and Hallway were flooded. It took about 2 hours to mop up the water so as it was late at night we decided to speak to George Wimpey the following morning (another day off work!! ).I called George Wimpey at 9.00 am and explained what had happened and asked for a plumber to come and repair the leak and for a manager to come and inspect the damage. I was told that a plumber would be organised but the manager was unavailable.! After an argument. it was agreed that a manager would visit later that morning. The plumber came to inspect the water pipe and found that it had come adrift from a joint. On closer inspection of the joint he found a brass ”olive” in the joint and stated ‘That should not be there’. The pipe had been cut too short originally so he put a little extension piece onto the pipe. I kept the ”olive” and asked for a written report – which I have never received. The Customer Care manager from George Wimpey then arrived and I informed him of the fault. He inspected the damage and agreed that anything that needed replacing (walls/floors etc) it would be replaced. He stated that i should not worry about the repairs/costs as George Wimpey would sort it out and we agreed that we would start the repair when we returned from holiday on the 18th February. We heard nothing from George Wimpey so after a couple of weeks decided to find out what was happening. The Customer care dept apologised that they had forgot to call us and informed us that there was now a new manager (Amanda).The new manager then stated that she wanted to come and inspect the property to agree the repairs (which had already been agreed previously).We agreed (had no choice) and a date was set. In the meantime a stain was found on the carpet in the bedroom next to the bathroom-which we informed them about. To our amazement on Amanda?s visit she stated that she would need the floor coverings to be lifted to inspect the damage – even though the previous manager had inspected them the day after the leak. She also stated that the new stain found would need to be inspected to prove if it was due to the leak. We disputed the need for the floor coverings to be lifted as some of it is Karndean and we did not want the floors left bare so it was agreed that only the carpet would be lifted. A carpet company later came and a large water stain was found under the underlay (situated mainly around the hole made to inspect the previous non existent leak) which proved it was due to the leak. The carpet has shrunk so much that it doesn?t reach the wall. A few weeks later a plasterer was sent to repair the cracks that had appeared in the walls due to the water leaks. I had already stated that I had been advised that the plasterboard should be replaced. announced he had been issued the job only 1 hour previous) and inspected the ceiling. He decided that he needed to inspect from above so he moved furniture in the bedroom above and lifted the carpet. He made 2 holes in the floor but could not find any leak. He then checked the En-suite and Bathroom for leaks but could not find any. He then thought it was coming from the outside wall area due to how badly the ceiling sloped but still could not trace the leak. ***So he put the carpet back and LEFT even though the water was still running down the wall and ceiling. At this point I had lost all faith in the property and the people attempting to repair it. I contacted George Wimpey customer care and also wrote a letter to John Robinson (chairman) and asked the question ”Can anybody guarantee 100% that this house is safe to live in if water is leaking onto the ceiling and down the wall. Surely this is dangerous as the water could get into plug sockets or light fittings”. Nobody replied – so make your own judgement. We were contacted by Amanda who stated that she would be coming to the house with the production director to inspect the house (again) on Monday 5th April and would be there at 9.00 am. I stated that I did have other things in my life – like work and that it would have to be later in the day – so we agreed 12.00.The Production Director (Ian Wood) and Amanda inspected the house including the ongoing leak in the kitchen. I stated that I thought that all the walls, floors and ceilings needed replacing due to the water that had leaked onto/through them. They disagreed but stated that they would send a representative from the plasterboard manufacturers to test the plasterboard and a representative from the water pipe manufacturer to inspect the pipework. I said that I thought if the walls/ceilings were repaired they would crack once they dried out again. I then asked if George Wimpey would come and repair the cracks. To my amazement I was advised that they would not as drying out cracks are normal in a new house (are water leaks as well ??). They then left – whilst the water still leaked down the wall and through the ceiling. A couple of days later a workman from George Wimpey turned up to inspect the leak (10 days after it started).He proceeded to cut holes in the Kitchen ceiling and finally found a water pipe ”manifold” leaking which he cut out and replaced. The leak was due to a pipe not fitted correctly. I kept the ”manifold” for further inspection. The holes in the ceiling were then filled with old and new plasterboard and screwed to ceiling with about 30 screws (a very nice finish to the kitchen we spent thousands of pounds on upgrading). We then awaited the visit from the specialists as George Wimpey stated they would put a plan of action together once they new the extent of the work. The representative from the plasterboard company Knauf visited first. He was only in the property a few minutes and stated ‘I have advised Wimpey of this on other occasions that any plasterboard that has been contaminated with water should in my opinion be replaced’. He never inspected any walls at all. We then had a visit from the representative for water pipe manufacturer – Speedfit who confirmed that the ‘manifold’ problem was due to poor workmanship. We had been informed by George Wimpey that he would also be carrying out tests on our water system including pressure testing it. He stated ‘He could not pressure test the system as it would blow the bottom out of our tank’. The pipe work inspection was carried out by two plumbers who only looked at pipework within easy access – but still managed to find numerous potential leaks. The representatives said they would inform George Wimpey of their findings. We then waited for George Wimpey to start their action plan – but heard nothing. After a month i decided enough was enough so i sent a letter to the Chairman again and informed him that this had gone on long enough and i was now going to take legal action and inform Watchdog and ITV. Amazingly i then got a response from Mr T McGuire – managing director of George Wimpey South Yorkshire who stated in a letter dated 28th May 2004 (a year after our first leak) that the plumbing had now been inspected and that the pipework and connections are now satisfactory and that he was enclosing a programme of works. They had finally agreed to replace the walls and ceilings but not the floors. I contacted Mr McGuire and stated that the floors should be replaced as well on the middle floor and also in the Bathroom and where the holes had been cut in the bedrooms. He stated that this was not necessary. After getting no joy from my conversation i decided to take further advice. I then wrote back to Mr McGuire stating what i expected NOT what they were willing to do. I then received another letter back stating that they would be sending somebody to inspect the house (again),the Production Director (again). So the property requires work on all three storeys – with the middle floor being just about replaced. They have stated that they will move us into an hotel for the duration of the repairs which we have stated is not acceptable – 2 adults and 3 children for 4 weeks in a hotel – nothing for kids to do – plus we have a pet which a hotel will not accept. After numerous weeks of arguing they have finally agreed to rent a property for us. At this moment in time we are awaiting the start of the repairs – or so we thought. We have now discovered another water stain on the ceiling in the Utility room. On further investigation in the room above (kitchen) we have found a water pipe kinked so it is probably 50/60% of its normal size (Yet I have a letter stating that all my pipework is satisfactory) but this is not the cause of the leak. George Wimpey have sent yet another workman to my house to cut holes in the Utility ceiling to announce he can find no leak. Do not purchase a property from George Wimpey unless you want stress and have nothing else to do except sort out all the problems that you will encounter. George Wimpey state in their brochure that ”so proud are we of the quality of design and build” and ”George Wimpeys quality stand up to the closest scrutiny”. They also state ‘If statistics are to be believed, we spend 80% of our leisure time in or near our homes :all the more reason why your home should enhance your quality of life, not restrict it’. I can confirm that we are not the only ones to have the latter (restricted) as I am aware of TWELVE other properties on our development have suffered water leaks and numerous other developments have a similar problem (fact). We also know that on speaking some of the people who live in these properties they have not had any plasterboard replaced even though the house builder had been informed that it is advised to do so. I know that if I had not continued to argue I would not have had a proper repair carried out as all George Wimpey wanted to do was the cheapest repair possible. If you do purchase a property from George Wimpey and have problems do not expect good customer service. At this moment in time I have wrote and spoke to numerous people regarding what has happened and I get the feeling they think it is acceptable for you to live in a house which is potentially dangerous, with water leaking from ceilings and walls. I have asked for compensation for all the stress this has caused, all the time I have had to spend sorting it out (if I hadn’t – we would probably be waiting for another inspection),the fact that we have had to live in a new house with holes in ceilings, water stains on walls and ceilings, plaster in corners of walls filling cracks and living with the smell of damp. We couldn’t sell our house because it was in such a poor state of repair and we couldn’t get George Wimpey to repair it, so we have had to live with it. If anybody is having similar problems and would like further information please leave a message. I have got all the original letters, telephone numbers of George Wimpey people and the representatives of the plasterboard and pipework manufacturers. At the end of the day George Wimpey are only interested in your money when purchasing the property and when they sell over 15000 properties a year they make enough money not to be bothered about anybody. From my experience though it works out that nearly 10% of the properties they build suffer from water leaks never mind other problems. Title – Taylor Wimpey are cowboy builders. My wife and I moved into a taylor wimpey house in december 2009. We bought it off plan as it was cheaper that way. BIG mistake! The place had around 80 different snags, some small, some big, but ALL due to poor workmanship. The place was painted by a three year old painter(apologies to three year olds), and the plumbing/grouting/tiling/you name it / by a spotty 16 year old by the looks of the finish! Now nearly 9 months later we are still waiting for work to be finished. The living room carpet has to be replaced due to rain seeping into the gap between the balcony and house, this also ruined our tv stand and the grand- daughters dolls house when mould formed underneath as it was sat on this carpet,( for which they will compensate us £149.99 for 2 items that cost £215 new, so where did they get that figure from. let alone the 99p figure?) we were told by the works foreman that the mastic in that gap “serves no purpose”, when we asked him about the gap not being sealed, and told that all the work done only had to be carried out to a minimum standard. What standard? Presumably the same standards they live by(scruffy/crap drivers/lazy/ unfit/ lairy/ 8 pints and a kebeb on saturday night sort of standard?). We are going to try to sell the place as I hate it for the stress it has caused us, and for the fact that we were LIED to when told that the houses opposite would be affodable hosing/part buy part rent/key worker houses, when in fact they are occupied by council house type people with too many kids/dogs/van drivers per house. Why did we pay hard earned money to live here with these sort of people? BECAUSE WE WERE LIED TO. Ultimately we have to keep this fairly quiet or nobody will buy it so we are stuck between a rock and a hard place, so to speak. I just hope this stops people buying into the TW nightmare, if they are sensible enough to search these sites and actually take notice. I wish I had! Its crazy that I will trawl the internet for reviews on kettles etc, and the cheapest price but it never even crossed my mind to search for info on something that is the most expensive thing I will ever buy. I am still kicking myself on a daily basis. It is a sad fact of the times we live in that this has happened to so many innocent, hard working people, like us. Surely there must be a way of improving the cowboy standards to a point that only genuine builders and tradesmen are allowed to build in this country? Or am I wrong in thinking this? I dont know for a fact but I’m pretty sure this wouldn’t happen in places such as Germany, Sweden etc. as they are very strict with this sort of thing in there own country. Lets hope the future governments pass an amendment to this, and get rid of cowboy builders as they are spreading like a virus throughiout this once great country. APOLOGIES TO ALL THE GENUINE BUILDERS TO WHOM THIS DOES NOT APPLYTO ANY WAY! I too bought a new George Wimpy home in South Yorkshire and was dissapointed to say the least with the level of workmanship. The final straw was when they placed their works cabin outside my new house, great view of the workers urinating! and told so my lies it was untrue. On the Bank Holiday weekend I went around to all my Neighbours and asked if they wanted to sign a petition outlining the problems we had encountered, those with backbones signed it and I place it in my van window along with a big sign saying ‘ DON’T BUY WIMPEY’ then parked it outside the show house. Consequently 1030 Saturday morning all has broke loose, sales asisstants knocking on my door yelling abuse, managers visting and even the police, well kInd of PCO. Tuesday 830 am, the Managing Director rang to say he was at my house. I asked him to come back the next day and he did first thing, sorted all my problems out so quickly. He thought my actions were a bit extreme, I agreed, but toldhim that’s what I had to do to get him sat in my kitchen at 830 sorting out the problems. Wimpeys don’t like bad press as it is no good for their Dividends, some times the man in the street has to stand up and be counted and in this case it worked great for me! No, you dont know what your saying rossco. You buy a tw house and find out for yourself. My nightmare has ended due to selling. I agree with Andy you will be daft buying a new house after reading all the problems people are having, Iv’e had 2 years of hell if thats what you want then go ahead and buy, but please take a look at the photos on flickr,facebook,twitter and other sites before you decide, these so called builders are only interested i your money. I bought my little Wimpey house in 2000 (I watched it being built almost day by day) and so far have had no problems at all, everything works as well now as it did when I moved in. I hope people will not be put off by the problems these unlucky folk have had. I can only speak as I find and I have been very happy in my house. I’m pleased your new home is fine, I wished the new house I purchased was,although my builders were Keepmoat/Frank haslam millan,and other known companies, they have a customer care team who I must say respond quickly the problem is they are no good at DIY Jobs ( not that there should be DIY done on a brand new house I’ve had them in and out for 2 years, and over 84 visits and I’m still having the same problems, I down sized when I retired thinking it would be easy to maintain and keep warm little did I know that I would be freezing cold due to drafts,rain comes in the front door because they are unable to fit them properly,so I’m dreading my 3rd winter in this house, sorry I’m RANTING again, I trusted these builders to give me the quality they advertise, what I got was cheap materials and very poor workmanship,these builders have no skills what-so ever. I intend to put as many young/old couples off as possible. Sharon – i am with you on that one. Taylor Wimpey’s customer services is an absolute shambles! I’ve emailed, phoned and visited the site office so many times. I’m now on my 6th email and my latest one was ‘deleted without being read’. Says it all! My snagging list was 8 pages long. My property wasn’t even finished when i moved in. My front door didn’t even lock! Nor did the communal door. My oven wasn’t even wired in. My windows weren’t completed and the locks were broken. I had stains on my carpet, leaking sink, the house needed a whole re-paint…the list goes on! We’ve now found mould in the hallway. Seriously think twice before you purchase a property from TW. I have nothing but stress since moving in. I wish i could turn back time, because i would have never bought this place! I agree with everyone who says that wimpy are a disgrace. My house is seven years old. I have had to replace the water tank, both en suite showers. I recently called about the kitchen as the doors are peeling, told nothing would be done as only guaranteed for two years. I would expect an expensive kitchen to last more than seven years. No your not on your own there must be hundreds of unhappy buyers of new houses, My Builders are KEEPMOAT LTD, they haved replaced kitchen tap 3 times, patio doors, and front door but I still have rain coming into the house gaps that let in drafts, they wrongly installed condensate pipes, there were no Isolation switches my god the list goes on and on there customer care have no idea how to correct things they have been in and out for 2 years now doing the same DIY JOBS over and over again, I always thought you had DIY on old houses not new,!!! In all Iv’e had them in over 84 times, surely something should be done to stop cow boy builders from robbing us. Sorry to read about all your problems with your new home, I’m also in the same situation it’s been 2 years of hell, so I know how you feel,unfortunately there seems very little we can do, I can’t understand how these builders can get away with treating people like this they have no respect what-so-ever. I do have a Solicitor through my house/contents insurance. I read that the Government as from last week have cracked down on cowboy builders,they will not be allowed to check and pass their own build,”too late for us” but at least some thing is being done to help others although if they have any sense they should go on this site and read our comments,it’s enough to put any one off of NEW HOMES I hope so anyway. Valerie Turner. I wish I had read these posts a few months ago , I was pushed to complete on Taylor WImpey home and it was signed off by NHBC 2 weeks beforehand however when I entered the house there was mud everywhere it was full off dust and dirty I had lots of cosmetic issues, a leaking toilet, an unfinished shower cubicle to name but a few. The worst of my problems was black mould patches along the wall and fungus growing on the skirting boards! And TW answer to this was well it will dry out we have had a lot of rain!! Absolutely unbelievable and now 4 months on and very stressed I am still battling them, I had workmen in today who lifted the stair carpet (after I told them the stairs underneath are mouldy) they wanted to clean with wash up liquid?? I advised anti fungicide! and I would not let them put back down the mouldy carpet so they have now refused to do anything else and have advised me mould is not a defect! My house has been damp from the day I moved in, they are in for a fight because I have documented and photographed everything . I have had lots of new houses and this must be the worst quality of build I have ever seen. Taylor Wimpey are a disgrace. I too have on going issues with Taylor Wimpey. The so call Production Director, South has accused me of a daily barrage emails and letters. It concerned me so much that I had a web developer create a website and I have a 4ft square sign at the back of my house that is next door to their sales office. Please check the site an post any comments. I am having to take Taylor Wimpey to court over an issue with the potential collapse of my whole garden which is raised 4ft above the surrounding land. TW in their wisdom built the retaining wall out of logs which are rotting and falling away after just 7 years. The spineless management always get customer services to liaise their pathetic responses. This is just another example of TW’s gross incompetences, the last issue we had involved a sewage pumping station under their responsibility which was never maintained despite many incidents, the last of which caused a public health hazard when sewage water flooded the very same footpath next to my property. TW very nearly went out of business a while back, from my experience with them this doesn’t surprise me. I am starting a direct action group. Taylor Wimpey think, but I doubt it. How have you gotten in with legal action? I have an almost identical situation. My garden is split level and is becoming unsafe for my kids to play in. It’s a TW design, built by Persimmon. Persimmon have pretty much said its my responsibility! This is to let you all know I have been going through the most terrifying ordeal that anyone can go through. I bought a brand new property 7 years ago and it has caused me enormous distress with a catalogue of disasters which have had to be put right at my own expense and the latest defect was having the gable end of the roof and a decorative chimney repaired just before Christmas as rain came in and caused a lot of damage to the bedroom ceiling. However, when this was repaired I started to experience through the winter months the most freezing cold air 24/7 circulating around the upstairs and downstairs flooring. 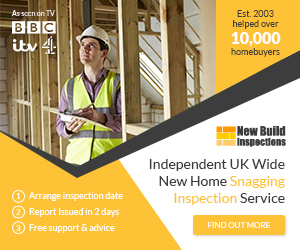 I contacted the roofers, Taylor Wimpey and the NHBC, but they all passed the buck, I even contacted nearly every organisation I could think of for help, but they were at a loss to what they could do, and as they said I had tried my best. I pleaded for help for over five months and even begged the NHBC and Wimpey to put me in an alternative accommodation until the problem is fixed, but they totally ignored my plea. It wasn’t till March the builders came back out and sealed round the loft and also under the kitchen units, but this never stopped the freezing cold air circulating. It was arranged again for a Surveyor and a builder to come out to inspect my property, in which this happened to be on a very mild day, as I could not even feel the cold air until the evening. My friend told them how it only became an issue after the roof was repaired in December. The builder ran through the actual work that they completed on that day and they say there is no link between the roof and the ground floor void meaning the issue couldn’t have been caused by their works. The external air vents was discussed as my original assumption was that the vents provided ventilation into the wall cavity and this is where the cold spots seemed to be coming from at the time. They explained their purpose is to provide ventilation to the void under the house where they are actually directed under the floor. I was then advised to buy a thicker underlay in the lounge. I had someone out to do this for me with the best underlay money can buy, but it made no difference whatsoever. A friend of mine taped bubble wrap up around the lower walls in the lounge, but that never helped either, therefore, I stuck carpet up the walls and that felt a little better until the masking tape kept falling off. From December and through the winter months I had been sat in my home daring not to move with my coat on, boots on and a blanket around my legs, I also had the heating full on, but I was still experiencing the freezing cold air circulating around the lower flooring and radiating off the walls in my lounge causing severe ice burns to my legs, ankles and under my feet. ‘If you can imagine keeping your feet in a bowl of freezing cold water every day, that’s how its been even though I tried to wrap myself up or keep my feet up off the floor, the cold air was still hitting me’ Now the lower half of my legs are so badly damaged I have lost all circulation in my feet, my legs are prickly all the time and my ankles are so painful I can hardly walk, and now it’s affecting my fingers. Even though the weather is changing I am still feeling this cold air circulating around my home especially early in the mornings, evenings and through the night. I now have a two inch thick foam rubber two feet up the walls in my lounge and tarpaulin under my settee, I have also put a thick blanket/duvet on the floor to where the bitter cold is mostly radiating from. In the kitchen there was also an intense coldness too, therefore, I have now had loft insulation put under the kitchen units stemming the flow of cold radiated air in that room. I bought myself an electric under blanket and have to keep it on high for an hour before it eases the pain in my feet, ankles and legs, but then I am woken early hours of every morning where I am feeling the coldness circulating again and have to put the electric under blanket back on full. However, this is to let you know how ill I am over this. In the winter months I kept going into shock as the freezing coldness hitting the lower part of my legs was absolutely horrific. I still keep getting panic attacks, my blood pressure goes dangerously high, and I keep feeling sick and passing out and also causing me hot flushes. I already suffer with asthma and this cold air circulating round the house hitting my chest has put me in asthma emergencies. I have lost a lot of weight due to all this stress as I can’t eat, in fact I don’t know how to eat anymore. I am now under the NHS for the deepest depression I have ever been in and been put on antidepressants and diazepam. I am still feeling very low knowing I have spent five months living in the most cruellest unbearable conditions that you can imagine and having to live with foam rubber up the walls and a blanket on the floor is not helping me get any better. The sadness and hopelessness of it all makes me cry all the time and I have lost interest in things I used to enjoy, and definitely lost heart in my home – I feel like I am living in a black hole and struggling to stay alive. I have now sent an e-mail back saying, that in essence the answer to your enquiry is ‘NO’ I am not satisfied. Not only has the problem not been solved, there has been no attempt by any authority to get to the root cause of my problem. This despite several of my friends confirming that there is a problem, and despite intervention from my local MP. Unless and until my problem is resolved I will keep going on about it by whatever means. My friends are telling me to get out of here before it kills me, but where can I go! I have already had two strokes years ago and so scared I am going to have another one, although for what I am going through it’s a wonder I haven’t had a heart attack. I have now received an e-mail from Wimpey to say they will get in touch the week commencing 2nd June to arrange an appointment to visit and take some damp readings that was suggested by a friend of mine that rain water may have gone down the cavity wall and underneath the flooring.. Even if Wimpey does send someone out to do a damp reading, they say the results may either indicate no damp or the need for further action. ‘No damp or need for further action’ what does that mean…! NHBC and Wimpey know I have spent over five months pleading with them to do something, but as I have mentioned before, there has been no attempt by any authority to get to the root cause of my problem. Know from owning a George Wimpey built home that when you start refurbishing you quickly realise the people building them just couldn’t be bothered. That was back in the 1960’s, so nothing has changed. Should they actually be allowed to build houses after that story and others? The wiring fault is incredible; you can’t do wiring yourself unless it is signed off these days. But if idiots like this are allowed to practice and sign off why bother having regulations? hi we bought our 3 storey in 2007,moved in after months of arguing with wimpey! refused to buy dustbins x 3,they charged us for the lawn they’d layed which we told them to rip up as it was already laid on viewing! plaster started dropping from the ceilings apparently settlement cracks but then the bannisters started coming away! they came n repaired leaving screwholes and cracked ceilings,dare’nt take a shower on 3rd floor as the 2nd floor ceiling was flooded! they repaired but left the ugly paint work for us to deal with,the big boiler on 2nd floor making spluttering noises I literally ran round the estate to find a workman who then said we have a cap to unscrew to let let out the air??????? after 3 years we’ve replaced the boiler.i hung a mirror in the downstairs toilet,centred it and hit a 2mm pipe smack on centre,where anyone would hang a mirror (my brother a builder couldn’t believe they’d situated the pipes central),door handles are coming loose,downstairs is absolutely freezing now due to the kitchen floor subsidence which will be repoterted tomorrow as my floor fitter has refused to lay my new floor till its soughted,my back door(patio doors)wouldn’t lock until I slammed them shut and pushed the handle up with force!broken now both kitchen and livingroom! never ever ever again will I buy a wimpey home! 1. Radiator in the bedroom was hanging off the wall. 2. Radiator on the landing never worked, plumber found the flexible pipe twisted. 3. I had to have a new circuit board replaced on the boiler. 4. When I had the boiler serviced the electric connection to the boiler was nearly burnt out and was told it would have caused a fire if it had been left any longer. 5. The valves to the bathroom and porch toilet had to be replaced twice. 6. The rubber doughnut between the cistern and toilet warped within three years of the new build ….flooded the bathroom and caused a lot of damage to the lounge ceiling. 7. Within a few months after painting the lounge ceiling I had another flood in the bathroom, the new rubber doughnut expanded – loosened the nuts causing more damage to the lounge ceiling. 8. Pipe underneath the kitchen boiler came loose and flooded all my home and when I think about it I could have been electrocuted, as my settee and chair is electric recliners! 9. The bathroom tap to the sink came loose from the pipe causing a flood in the bathroom. If I hadn’t gone into the bathroom before going to bed, I would have woken up with another flood in my home or worse still my lounge ceiling would have collapsed. 10. Cement from the verge at the side of the house fell out. 11. When I first moved into the property the external wooden framed double glazed windows had to be repainted and within six months the paint was peeling off again. Therefore, ideally they need to be painted every six months. The decorative bars on the windows keep falling off. 12. Draught came in from the bedroom windows and lounge window. I have had to mask tape them up every winter. I have now put draught excluder a round the window in the lounge, but it needs someone to go up a ladder on the outside to put draught excluder up on the bedroom windows. 13. In the first year of the new build, the paint on the front door had faded. 14. The letter box broke and it cost £50 to have a new one fitted. 15. Paving slabs at the front door breaking up within two years of moving here. 16. All the washers need replacing on the taps. 17. The roof leaking caused damage to the bedroom ceiling. Decorative chimney had to come off and tiles had to be re-laid and new felt fitted. 18. The roofers told me that I need more loft insulation as the depth should be 270 mm that is recommended for these properties. 19. Freezing cold air circulating a round my property since they repaired the roof. 20. Back bedroom was like walking into a freezer during the winter months, even though the radiators were on. 21. Leaked radiator in the lounge causing dirty water all over the carpet. 22. Ongoing issues with the rear garden since I moved in 7 years ago. Two lots of turf had been laid and died. Had the front and back garden tested, where they dug down 12 to 18 inches in which this was pure clay and at the bottom there was no soil just little stones. Every time it rains the garden gets flooded, therefore, I am now wondering what I am living on top of! All my neighbours have the same problem with their garden. The Contamination Officer has repeatedly sent letters to Wimpey asking them if the soil was imported, but Wimpey hadn’t had the decency to reply. All my neighbours have the same problems with their windows – draught and paint peeling and the decorative bars keep falling off. My next door neighbour had a flood in her porch toilet and ruined her lino. Another neighbours pipe underneath her kitchen boiler also came loose and caused a flood in her home. Another neighbour came home from work and found his lounge ceiling had collapsed, a pipe to his boiler upstairs came loose. I was in a neighbours kitchen one day and water was dripping through the ceiling, found that the pipe underneath the bath tap came loose. She also had a leak from her shower causing damage to her lounge ceiling. Now another neighbour has found his roof needs to be repaired, as rainwater is coming in. Do I need to go on! I now don’t feel so alone. I could of wrote any one of these messages and added on, but I’m sick of hearing myself now. Life is just rubbish. It is completely wrong how you can do very little for something you bought brand new. My house has never been brand new it’s bodged and bashed all over and that’s if it’s the right stuff.I have had more work men in my house than visitors. It’s time the law changed to protect hard working people trying to do well by themselves. Disgraceful – however the construction director is previously from Taylor Wimpey so I guess he brought his expertise and quality with him. Hi all, just to let you know I’m still around been 5 years now and still dealing with builders/solicitors due to boundary problems as well. I upgraded my kitchen for better quality cooker,washing machine & fridge and just spent £84 to replace the grill, washing machine drier has never worked so that’s useless, cooker hood has to be replaced, the house alarm has been wrongly wired, I only have a basic state pension coming in and have to pay for all this work to be done again it’s a bloody disgrace that these so called professional are getting away with robbing us. This year my sister and I persuaded our father to sell his house and buy a brand new Taylor Wimpey apartment at the LANGLEY PARK MAIDSTONE site, the idea was to eliminate stairs and garden maintenance from his life and generally reduce stress. The amount of stress caused by Taylor Wimpey has impacted his health and left us all wishing we had purchased from a professional builder nor a couldn’t care less cowboy outfit that is Taylor Wimpey. There is little point listing all of the problems as they are a repeat of other people’s experiences, enough to say I would advise anyone against buying fromTaylor Wimpey. I love the positive action “don’t buy fromTaylor Wimpey”. I have purchased shares in Taylor Wimpey and will attend their next AGM to raise a question from the floor as an ordinary shareholder. In advance I will write to local and national press informing them of my planned action and inviting their attendance. I have taken photos of all of the current issues which I will be posting on Facebook and as many other social media sites as I can find. Probably won’t achieve much but at least it will make me feel a bit better. I had so many problems with Taylor Wimpey that I raised three small claims in the court. Taylor Wimpey lost two. They settled the claims and sorted the things out. Everything went quiet for about two years. They have not decided to build on a public open space. This is a large field with Electricity Pylons. I have canvassed all the residents on the development and created a petition. Everyone has the same problems as most of the people that buy off them. The only way to stop Taylor Wimpey from doing this is to start a legal class action suit against them. They are not worried about the odd individual taking them to court, but this will change for a class action legal case. If anyone knows of large solicitor’s firm that will be happy to take this on, that will be great. There will be costs involved, but shared between all people part of the class action suit, will not be much. On winning, Taylor Wimpey will have to pay the costs and will be ordered to put everything right. With the threat of a class action suit, Taylor Wimpey may wake up to its buyers problems, and get them sorted. Once there is enough people who are prepared to be part of the class action suit, I or a solicitor will send Taylor Wimpey a Letter before Claim and wait for their response. It would be ideal, if all residents on your development can be informed, so they can join, if they desire. Anyone who would like to get involved. please contact me at: TW@Kitemark.net.